New Sector 9 Holiday Boards And Completes Out Now @ Pure. 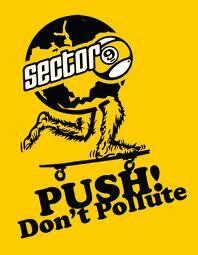 "Sector9 Longboards have been a part of the Pure family since we opened in 1993 under the name Evolve. Rob Molt was the man than and he continues, 20 years later." New Sector 9 Longboard Holiday Catalog is available now at Pure Board Shop. Longboards, completes, wheels, gloves and accessories are ready for holiday purchase. The story of the nineball starts in our La Jolla backyard in 1993. At the time their house consisted of a bunch of good friends, a halfpipe, pool table, ping pong table and shaping room all just across the street from some nice smooth hills down to the reefs. Being that the house had all these fine features, it became quite the hangout spot. One of the friends from Hawaii who used to call people “nineballs” all the time in a friendly razzing sort of way, called up on the phone one day to see what was going on at the house. Of course they were all “studying” so he got the answering machine and said “Whats going on over there at Sector9?” which to him and the crew meant a house full of nineballs. At the same time one of the house favorite hill cruisers, a snowboard-turned-skateboard, was stolen from Northbird in La Jolla and a couple replacement boards were almost finished and just needed the finishing touches of a logo. The message on the machine was heard and the name not only had a nice ring to it but seemed fitting as well so it stuck. The interest had been apparent from everyone who saw the Sector 9 crew skate so they started making skateboards in their backyard. Lots of learning and a couple evictions later the guys were forced to move into the first warehouse in what would become the Sector 9 skateboard factory. Pure Board Shop opened its doors on May of 2005. After co-owning Evolve Board Shops in Annapolis and Bethesda Maryland from 1993 to 2003, Robby Roberts put Pure on the streets a few years later. Its ease of access and parking make it a destination shop for riders and urban street wear fans alike. With their mix of products and variety in skate, snowboard , surf and exclusive street wear and shoe brands Pure’s customers extend far beyond their Annapolis location. Pure prides itself on customer service being its number one priority, with product knowledge and having the right product mix a close second. The store and the website feature an ever growing inventory from brands such as Nike SB, Nike Snowboarding, Travis Rice, Lib Tech, Adidas skateboarding, Vans, Levi Skateboarding, Diamond, HUF, LRG, Neff, RVCA and The Hundreds, as well as a large selection of Sunglasses and other accessories. The shop also prides itself on having the largest inventory of longboard equipment in the area; with brands like Landyachtz, Rayne, Caliber, Cult, RAD, Abec11 and many more. Pure puts on skateboard jams and video premieres at their local skateboard park as well as sponsors many longboard slide jams and races in the Metro Area.